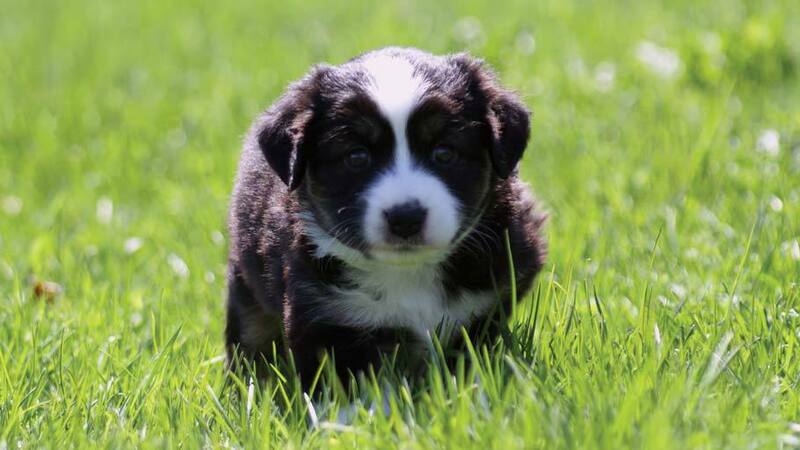 Available Mini Aussie puppies from March 2011 at Breezemore's Maine Miniature Australian Shepherds. 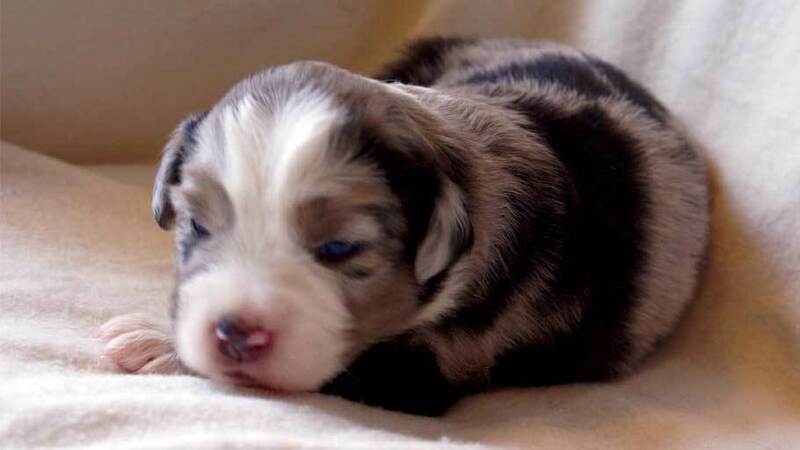 March 2011: New Miniature Australian Shepherd Puppies! Kyle and Eli had a litter of five little puppies (3 males and 2 females) on the 27th of March. These puppies will be 8 weeks old on May 22nd. This guy just kinda lumbers around -- he's very laid back and calm, but does enjoy his playtime just as much as cuddle time. He's very fluffy and flashy. Sold: Thank-you Megan and Jon, they have named him Cooper! He's slate grey with a beautiful blaze. Stalking toes is a favourite game of his. Sold: Thank-you Steven and Nick. They've named him Rico! He's the smallest of the group. He's little but might, he holds his own when his bigger siblings decide it is playtime. He loves to play and settles down very nicely. Sold: Thank-you Zac. He has been named Oreo! He joins his Breezemore half-sister Maya! Beautiful face on this girl, she has tons of copper trim. She is the bigger of the two girls. Sold: Thank-you Jack and Devon! She has symmetrical markers on her face with great copper. She has been the first to do everything and is quite the escape artist. Sold: Thank-you Grace. She has named her Sage!